Pattern has 4 different styles, perfect for your ipad! 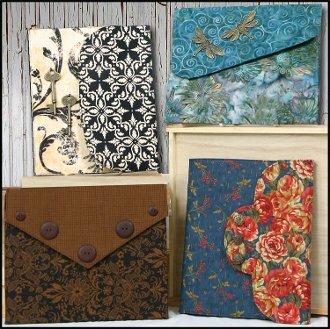 These whimsical booklets fit the iPad snugly! With four different flap styles you can find the perfect one for you and a friend. Plus, they are Fat Quarter Friendly! The cover is a great way to keep your iPad safe from scratches! Pattern will work for the 1st through 4th generation IPad and the IPad Air. Not for the IPad Mini. Fat Quarter Friendly Like scrapbooking? Well mix it up with your sewing in this versatile pattern (check out the one with keys, I LOVE IT!!) Pair it up with old jewelry findings, beads, buttons.. you name it and you can incorporate it into your own one-of-a-kind I Pad Cozy!